"This is a very ancient place, a bewitchment place." 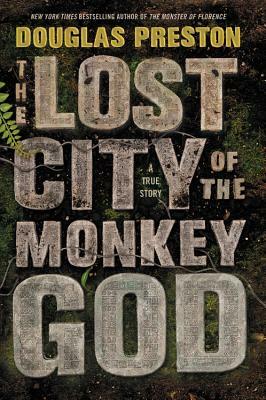 Battling poisonous snakes and deadly insects, rickety planes and never ending rains, Douglas Preston joins an exploratory team in an excruciating attempt to find evidence of an ancient civilization deep in the rain forest in the Honduran mountains. Using advanced aerial laser technology to first map the area a team of archaeologists, photographers, and adventurers are ecstatic when they find what seems to be Mosquitia, this mythical civilization from centuries past. The story doesn't end with this encounter, however. Ethical disagreements, political considerations, and a mysterious disease that affects almost half of the team add tension to an already thrilling real-life adventure. Preston, a writer for National Geographic and co-author of the acclaimed Pendergast series, captures the project and its consequences in exhilarating detail.